After dispatching the Rams in Super Bowl LIII, Tom Brady is now a six time Super Bowl Champion. His six Super Bowls are the most by any player in NFL history, cementing him as the greatest quarterback of all-time. 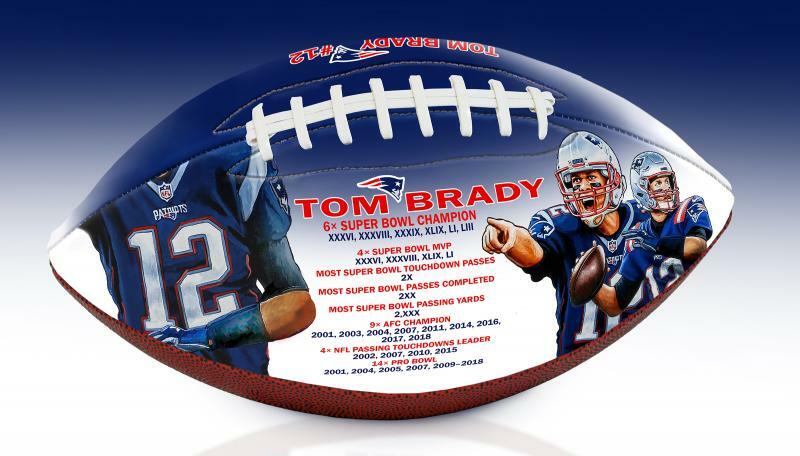 Brady also holds career Super Bowl records for the most touchdowns, completions, and yards. 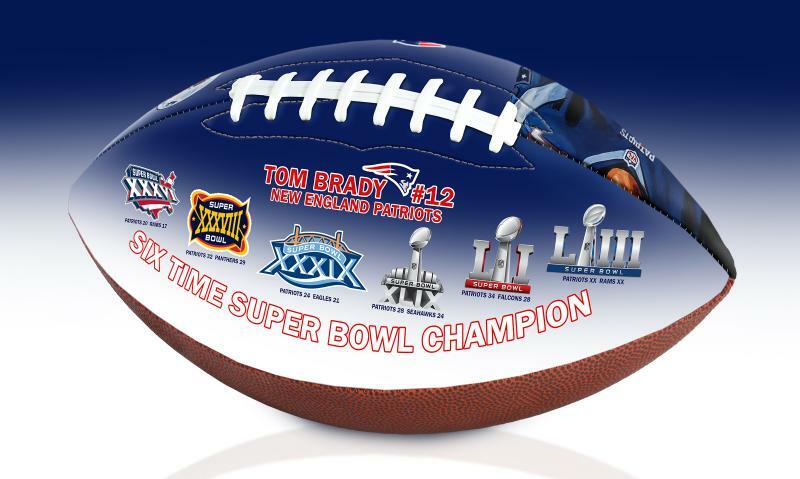 To celebrate Brady’s unprecedented accomplishments, we are proud to release this full-size, officially licensed, Tom Brady 6x Super Bowl Champion Art Football. 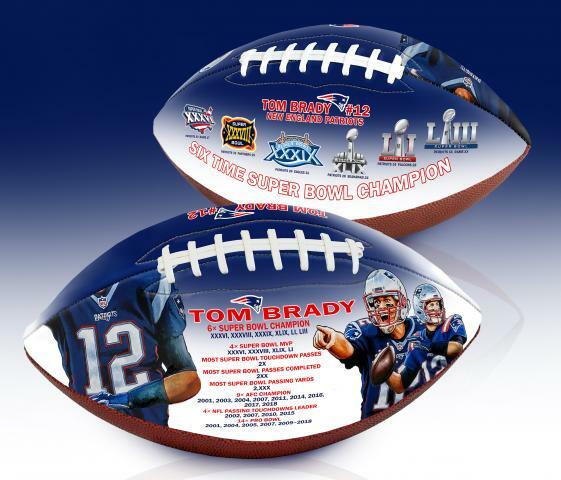 The ball features Brady’s career accomplishments in both the playoffs and regular season, as well as original reproduced artwork by the BigTimeBats Art Studio. 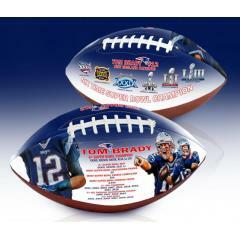 One panel of the football depicts Brady in multiple poses with his career accomplishments including a highlight piece of his jersey number that will be retired after his playing career. The opposite panel features the Super Bowl Logos of his six championships as well as the scores of the games.